Aditi Raychoudhury. Village Scene, Kirtipur, Nepal. 1991. Pen and Ink. Aditi Raychoudhury. Village Gossip, Kirtipur, Nepal. 1991. Pen and Ink. I have been drawing, sporadically, ever since I can remember. But, I have either lost them, or given them away, and didn’t have a camera, copier or scanner to document them. 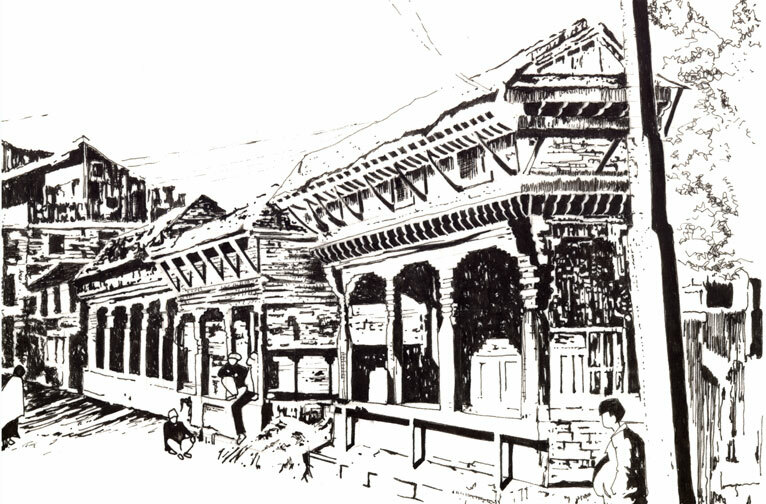 These sketches from my visit to Kathmandu in 1991, may be two of the earliest drawings I have with me. 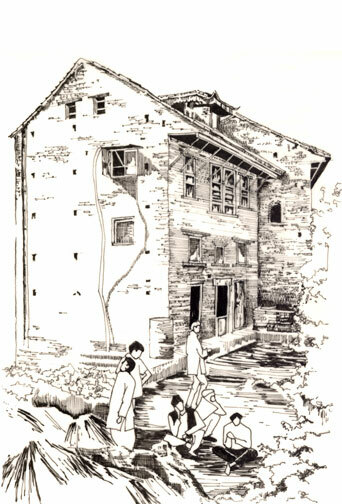 I feel proud to see the old sketches of my home place. You have done a good and appreciating job ,, very nice job. Thanks, and i will just say you to visit again the same place,, you will enjoy more.. I would love to visit Nepal, again – My last visit was more than 20 years ago – but, is still one of my most memorable trips! Nepal is always the last fantasy of a traveller. Its a feast of all diversity for the art lover like you. You should come to Nepal again. Regarding the sketch ( village gossip); the place has changed alot since then and now recently a restoration process is finished and making the place more attractive. that’s good to know! Some day, we will visit Nepal again. You are a very talented drawer, LunaKit!